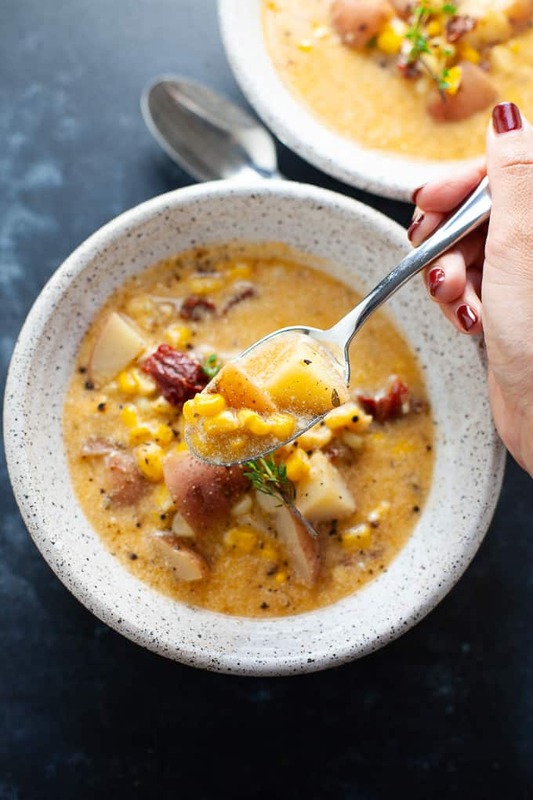 Slow Cooker Chipotle Corn Chowder takes less than 15 minutes to prepare and packs in a bit of heat for a whole lot of flavor. 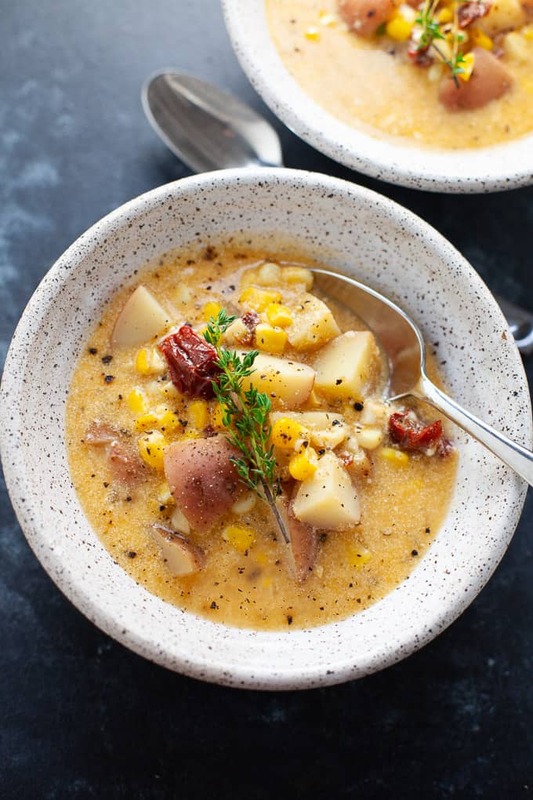 Ok I know corn chowder is like a summer thing but roll with me for a minute. Who wants to hot soup in the summer? I don’t care how fresh the corn is. You will rarely find me eating soup in the heat. Chowder in the fall though is something I can wrap my head around and sink my spoon into. 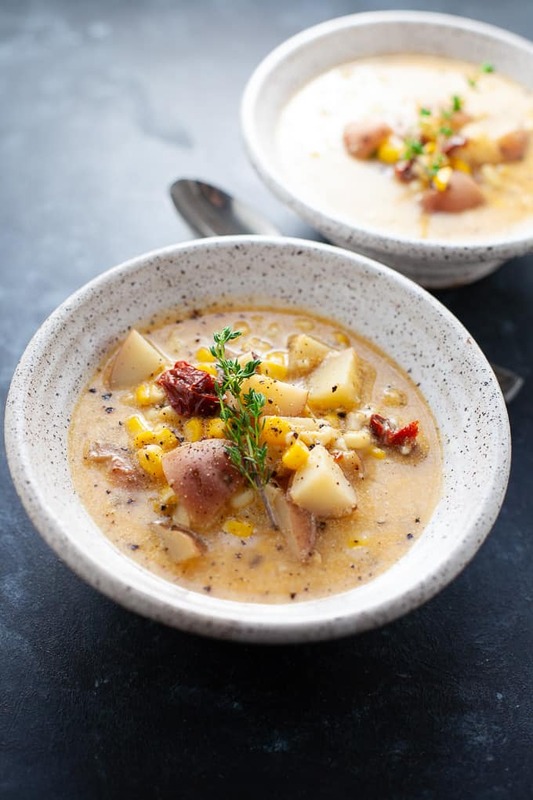 I figured this corn chowder would be the perfect beginning of fall soup because I’m still seeing the last of summer fresh corn at the farmer’s market and abundant in the grocery store. Also I LOOOOVE how easy this recipe is. 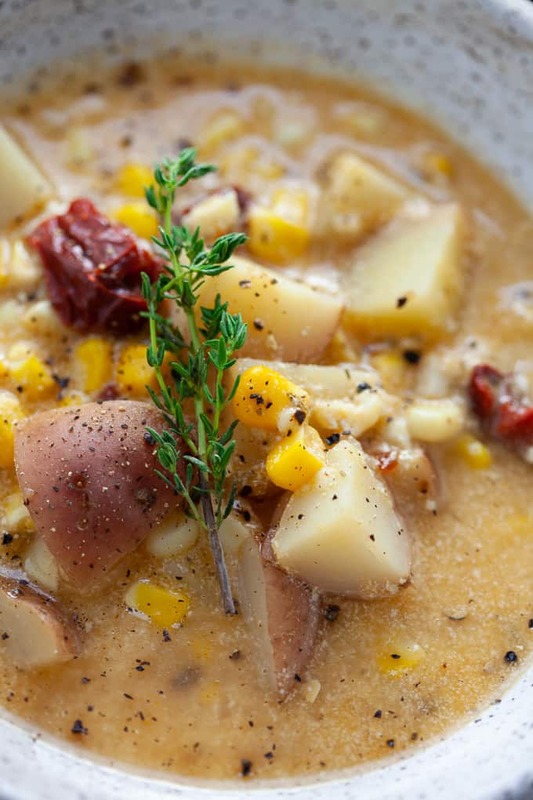 The only work you have to do is chop some potatoes, shuck some corn, turn on your slow cooker and let it do the rest of the work .And if you’re in a time pinch, you could also use frozen corn instead of fresh. As someone who enjoys to cook but doesn’t want to spend hours every day doing so, slow cooker meals like this one are a godsend. The chipotle peppers pack some heat into this chowder (or chowDAH as we say in Boston) and I added in some shredded sharp cheddar cheese for an umami boost. I felt like it needed a little extra somethin somethin in the flavor department and the cheese did it. If you’re looking for a vegan-friendly version, you could use NOOCH and skip the yogurt. If you’re a meat lover, you could add a little bacon for that umami flava flave. This soup isn’t super satiating on its own. I had a bowl for lunch and found myself hungry for a sandwich an hour or so later so be mindful that you may need to pair this soup with something else like a sandwich, salad, protein, etc. to make it a satisfying meal. The weather has been pretty miserable in Boston this week (didn’t Mother Nature get the memo my birthday was Tuesday?! Rude.) so this chowder has been the perfect antidote to embracing all the cozy hibernation feels. Place corn, potatoes, garlic, chiles, adobo sauce, flour, oregano, thyme, onion powder, and vegetable broth into the slow cooker. Turn on the slow cooker and cook for 7-8 hours on low or for 3-4 hours on high. Turn slow cooker off and fold in Greek yogurt until fully incorporated. Stir in cheese until melted. Season with salt and pepper, to taste. To prevent yogurt from curdling, let yogurt sit out to rise in temperature before adding it to chowder. This recipe was retested, reshot and revamped to bring you the most delicious (and most beautiful) dish! The original post was published November 2014. Made it and my family loved it. Super fast to make and so hearty on a cold winter day. Made some changes for a dairy allergy house and had to add a bit of bacon☺️ Thanks for sharing! This looks SOO good- perfect now that the weather is cooler! Yesss – craving all the soups these days. Thanks Erin! Thanks, Whitney! YAY for soup season! That looks delicious! Great photography and excellent recipe! This looks perfect for fall. I must try it! Yum, this looks so comforting! Love that greek yogurt is what makes it creamy. 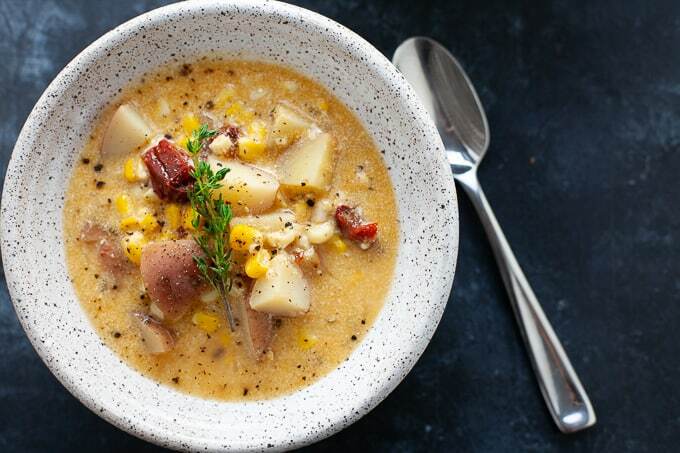 Has anyone tried adding a protein to this chowder, maybe some shredded chicken or turkey? I want to use it for lunch and feel like I might need to add a little something to it to hold me over. Hey Christine! Yes, I know someone who added shredded chicken to this recipe and loved it for the extra protein. Do you think I can replace the greek yogurt with sour cream (all I have in the fridge and forgot to get the yogurt!)? I’m sure you could. It will just change the nutritional profile but shouldn’t change the consistency too much. You could also use milk or cream too as a substitute. This one is a keeper Kara! Awesome! Thanks so much, Selena. Enjoy and let me know what you think! 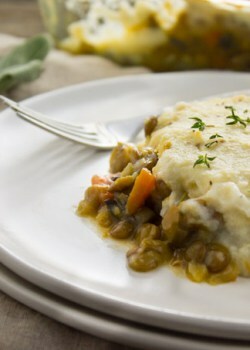 super hearty and comforting… perfect for the cold weather i’m wishing away. Thanks, Gretchen! Boston is expecting snow this Friday so I’m right there wishing it away with you. Looks like the perfect bowl of comfort on this rainy day! Thanks, Jeanette! Nothing better than a warm bowl of soup on a cold, rainy day. This is such a hearty and delicious soup! Pinned! Great idea on how to use the veggie pouches! This looks super easy and tasty. Perfect for the cold weather coming up! Thanks, Emily! Yeah, we all can use a little more heat in our food these days as the weather gets chillier and chillier! Totally. I love making soups and chili in my Crock Pot. It’s too easy! Wow. So easy. Now that it’s getting cold outside (boo hoo), this is a must-try recipe for me. 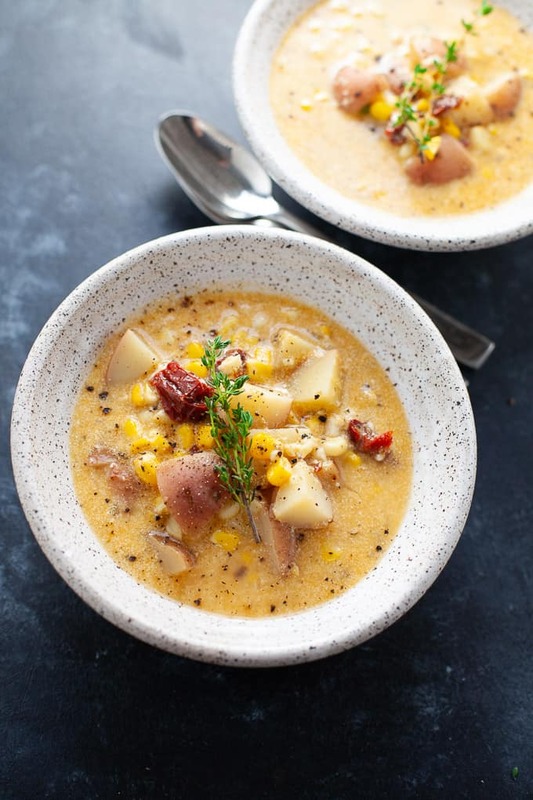 Love the healthy corn chowder spin. 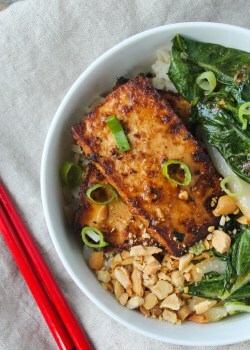 And like everyone else here … I’m pinning this recipe now! Thanks, Liz! You mean corn…chowdAH, right? 🙂 If there’s anything that can make me feel better about the colder weather, it’s hearty, comforting soups and stews. Pinned! 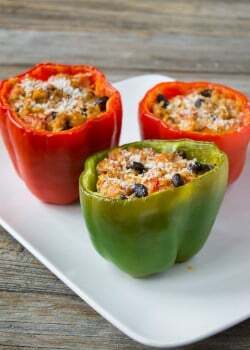 This is fabulous..and I love that you can make in a slow cooker! Pinned! 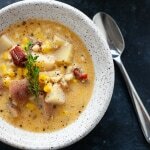 Corn chowder is one of my favorite types of soups! :] Love the sound of this recipe! Thanks, Farrah! I was never a big fan of the super creamy corn chowders but lightened up version + the heat = love at first spoonful.